Oh the importance of sleep. Sleep is a rejuvenator. Sleep is healing. Sleep is a must. Don't believe me? Start losing sleep and see how off balance your day becomes. Getting good sleep is one of the most important things you need to be healthy and to look healthy. But falling asleep is not always as easy as it seems. Sometimes our bodies are out of whack, we are stressed or honestly just don't know why we can't sleep. To remedy this, one of the worst things you can do is take medication to help you fall asleep. Sleeping pills can be addictive and you never want medications to control your sleep patterns. 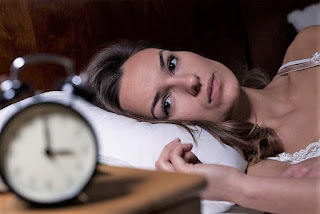 So what can you do naturally to help induce sleep. Lets take a look. Exercise- You may not be excited to do it, but it has been found that exercise will increase the quality of your sleep as well as the quantity of your sleep. Running and jumping can be physically exhausting but you will find it hard not to sleep after a good workout. Consistency - Yes! If you go to bed and wake up at about the same time, your body will begin to program itself to sleep. Establish night time rituals like reading a book or watching a certain program on Netflix. This routine can help program the mind and body to sleep. Cooler room temperatures - OK breaking out in a sweat in the middle of the night can really cause you to wake up. Don't have the heat up too high or it can be stuffy and hot and cause you to be miserable which will surely wake you up. Moderate the flow of air and keep the thermostat at a consistent temperature. Leave the Coffee alone at night - OK some people can drink coffee all day long but if you do and you are having sleeping troubles, you just might want to put that caffeine away. This is not only coffee. There are sodas, chocolates and teas that may have a high amount of caffeine that can disrupt your system. If you have to have these favorites, make sure to do them by lunch time and definitely not for dinner. The Sound of Music - OK you may be the person that don't want to hear a thing when you go to sleep and your sound is called silence. There are others who may need hear a bird chirping CD, some classical music or water falling. All of these sounds can be effective at helping you fall asleep. Sleep is very important and should never be taken lightly. There is a reason we sleep at least 1/3 of our life. We are programmed to rest and if you don't your body becomes stressed and imbalanced. This will increase cortisol levels in your body that will keep you awake. Producing an excessive amount of cortisol is a sign that your body is under stress. So get you some rest. Employ these natural ways to induce sleep and your day, your body and health will be better for it.